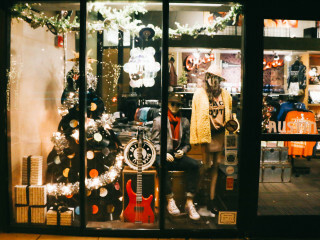 The 2ND Street District will be transformed into festive holiday scenes for the eighth annual Holiday Window Walk. St. Edward’s University students will put their design skills to to the test for their chance to win $6,500 worth of scholarships on behalf of the 2ND Street District. Participating stores include Hemline, League of Rebels, Austin Rocks, Toy Joy, Authentic Smiles, Austin General Store, and Luxe Apothetique. Guests can also enjoy delicious eats and holiday shopping plus festive installations, all while supporting the Austin community. The public can cast their vote on the 2ND Street District Facebook page for which participant they think deserves a prize for the best holiday window display.